Today we’ve seen quite a few companies taking a unique approach to protesting the Stop Online Piracy Act (SOPA) and the PROTECT IP Act (PIPA). For example, Tunrtable.fm is displaying “Stop PIPA” logos underneath the avatars of DJs throughout the site. Another company, Hellofax, is giving up its services to the cause. For free. 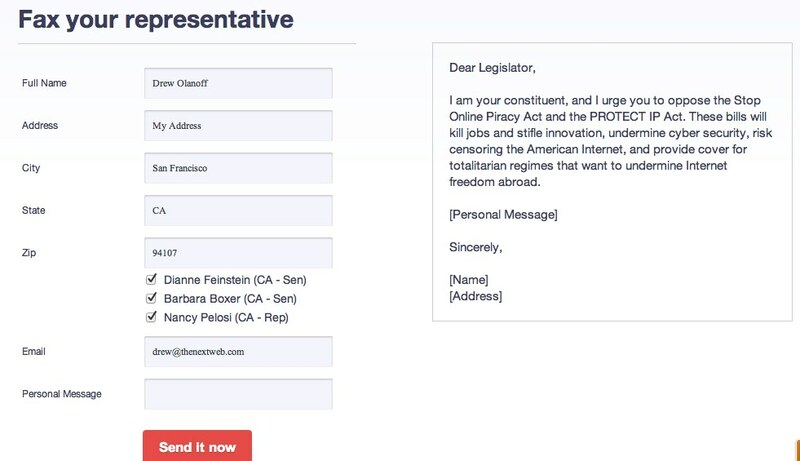 With Wikipedia suggesting you call your local Congress member and Google urging you to sign an online petition, Hellofax will fax your local representatives on your behalf. This covers pretty much every form of communication we can think of, with the exception of smoke signals. By entering your zip code, Hellofax will show you which representatives are in your area and will automatically send a fax to their offices on your behalf. You can add your name, address, email, and a personal message to the fax. I highly that you provide a personal message to make it stand out, since most of the messages going to these representatives use the default message provided by various organizations. 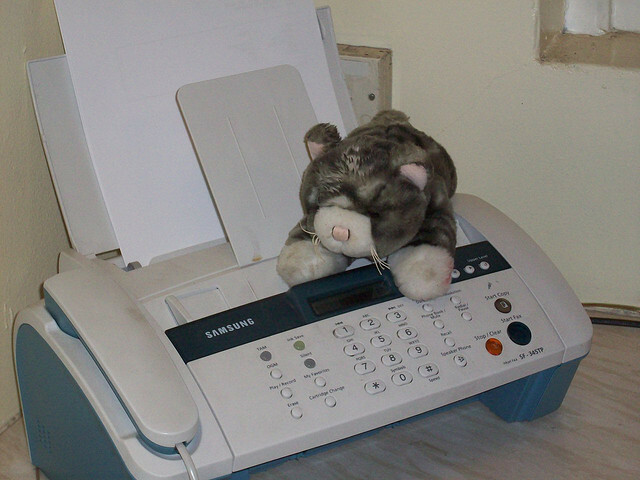 Wikipedia said it wanted to “melt phone lines” today, and now you can melt fax machines as well.